When I was a kid in Pennsylvania, Memorial Day weekend, in late May, defined the beginning of outdoor life. It was the beginning of gardening season (it was finally warm enough to plant in the garden without fear of frost). It was the beginning of summer vacation (well, almost... there were still a few weeks of school left, but it took all the energy our teachers could muster to keep their minds and ours on our studies). It was the beginning of the swim season (all the pools opened that weekend). And, it was the beginning of grilling season. Every year, on Memorial Day weekend, Dad uncovered the grill and went at it with a wire brush to clean it "within an inch of its life" while he contemplated what he would grill. Steak sandwiches? Kabobs? Swordfish? Hot dogs? Nope. Burgers. The first time always had to be burgers. And my father really knew how to cook them; they were always perfect. The grocery store buns, however, were sorely lacking. Mushy and gummy, or dry and crumbly, or too sweet and cakey. We tried Kaiser rolls once. I don't even have words to describe how negatively we felt about them. English muffins were another disappointing attempt. They simply made a big ol’ mess..
No alternative seemed to work. I am kind of surprised that my mother never even thought of making her own buns, amazing cook that she was. 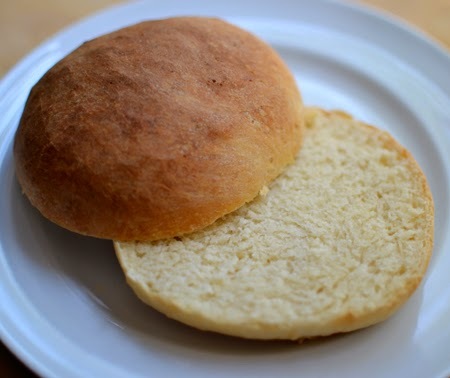 The first time I had a homemade hamburger bun was after we had moved to Tucson, and had gone back to New England for a visit. Doreen - who you know from the early days of Cocoa & Lavender - had just moved into a new apartment and invited us and a few others for a summer cookout. As is common in New England, most cookouts are also rained out, and this one was too. Sure it poured, but we all gathered round the kitchen table for some of the best burgers we had ever eaten, with great wine, lots of laughter, and the best of friendship. The hamburger buns she baked were amazing, and made all the difference! 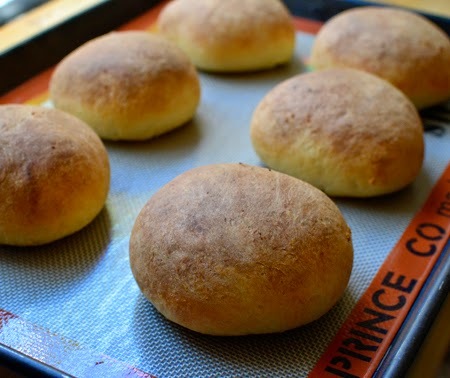 They had a wonderful texture and a pleasant yeastiness that store-bought buns lack. I made some this year on Memorial Day weekend and they were perfect. 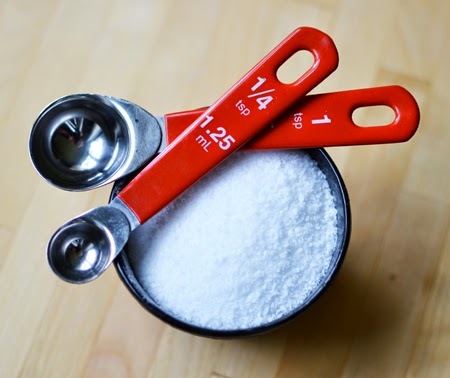 I knew right away that I needed to share the recipe with you. Note: it is important to weigh the dry ingredients for best results. 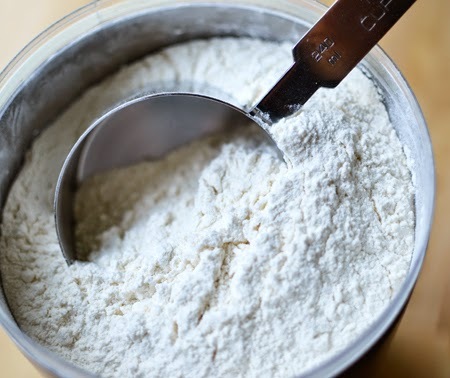 Combine all of the dough ingredients in the bowl of a standing mixer. Combine using the paddle attachment, then using the dough hook knead for 3-4 minutes. The dough will be soft and somewhat sticky. 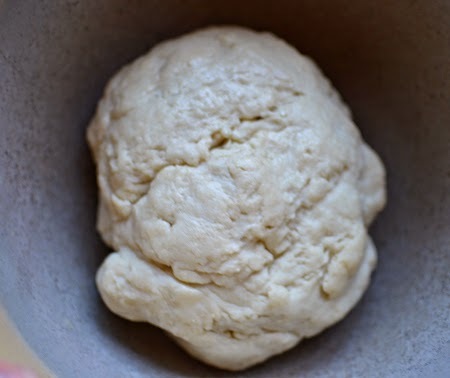 Place the dough in a lightly greased bowl, cover, and let rise in a warm place for 1 hour, or until it's almost doubled in bulk. 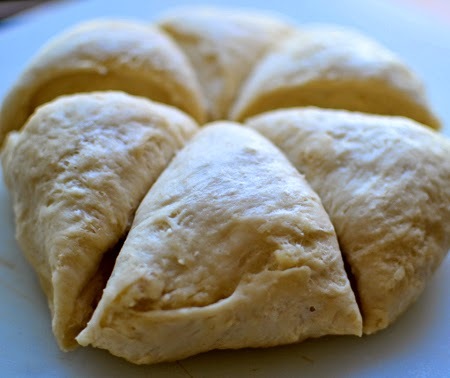 Gently deflate the dough, and turn it out onto a lightly greased surface. Divide it into 6 pieces. Knead each piece about 10 times and roll each piece into a ball. 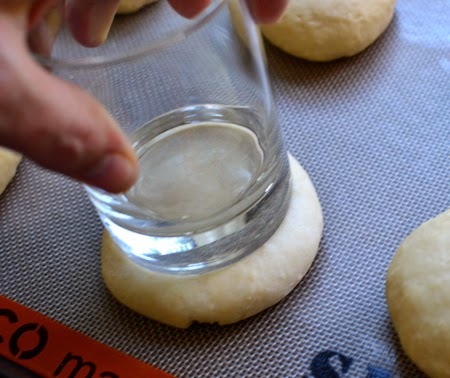 Place the balls on a Silpat or parchment-lined baking sheet, leaving about 2" to 3" between them; flatten gently using the bottom of a glass tumbler. 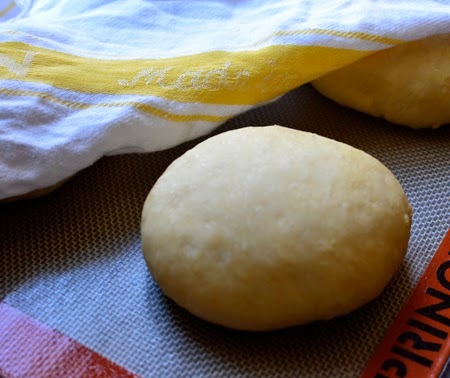 Cover with a dish towel and let rise until the buns have doubled in size, about 90 minutes. Towards the end of the rising time, preheat the oven to 350°F. 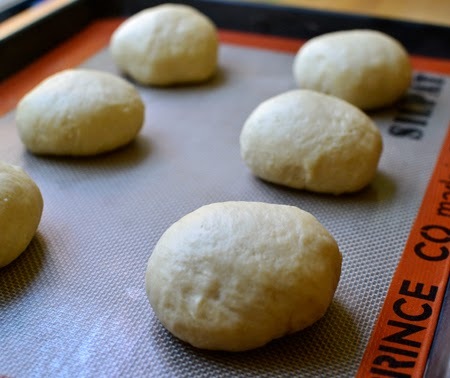 Bake the buns for 20 minutes, or until they're golden brown. 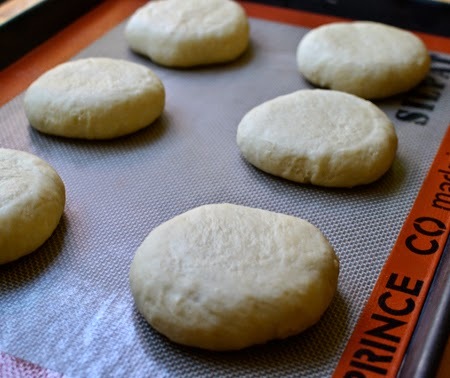 Remove them from the oven and transfer the buns to a rack to cool. I need to make these! I hate all bought buns, mostly because of the crappy ingredients they use, but have actually never thought to make them myself (silly, I know). I don't eat or like hamburgers, but my son and husband do and I would much rather they eat these! Thanks, David! Wow! My daughter--you know who--LOVES potato buns for her burgers and they are not easy to find! These buns sound terrific! I have to confess that I have never thought of making my own buns for our burgers--even though we grind our own meat and make the burgers! You owe it to yourself to try these, Susan. 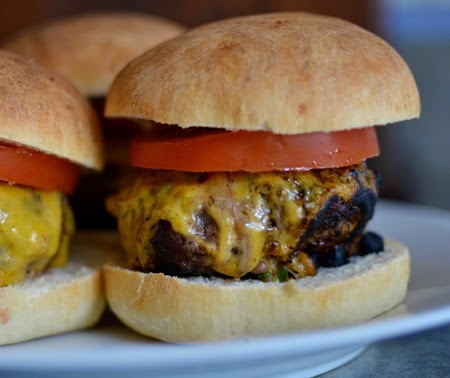 They will be such a great complement to your house-ground burgers! Do you use a combination of meats? Dear David, got to make these for the family, no doubt - I already checked and I do have some potato flour ("Kartoffelmehl") in my pantry - good - but I will have to double the recipes for us. It looks so good, I will definitley let you know how it turns out - this is a long weekend here (Whitsun), kids are off from school ´til Wednesday and the stores are all closed, so no grocery shopping for burgertoppings until the coming week though. Hope the movie was good! Thank you also for all your thoughtful comments! Andrea - I am sure you can easily double the batch. I hope you enjoy a nice long weekend; I love that special days like Whitsun are still observed in Germany! Yes, the movie ("Chef") was really good - I hope it comes to Germany soon. My toes are numb, David. So yes, it's a bit chilly down here. Can't complain too much because it never snows in Sydney, so I'll shut up. You know, I've made many a burger but never the buns to match. Speaking of buns, you've got some nice looking ones there! Thanks, John! I bet you could whip these up and find some really good and interesting ways to use them. My next bread adventure will be to figure out how to make the bread used for a Cubano sandwich. Hi David, these buns look like they could bring grilled hamburgers over the top, they are absolutely perfect, love a good potato bun. 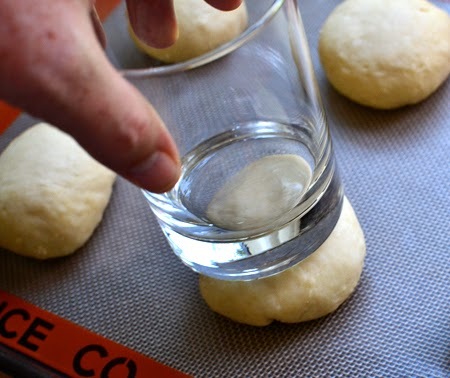 Funny, I never really thought about making homemade buns before, but after seeing this will have to try. Pinned. Happy rest of the week-end to you! Thanks, Cheri - these were really so good and so much easier than I expected. I am going to make them for hot dogs, too. Hope all is good up north! I have to show this recipe to my dear hubby! He is the bread maker in our family. I did once make a French loaf, though. . Haven't made one since my first try. I absolutely LOVE bread, love, love, love it. But....like so many people now we try to not eat very much of it. I have thought about getting some "Einkorn" wheat flour. 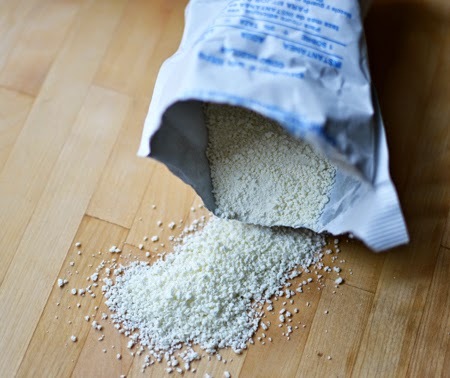 It comes from Italy where they have not genetically modified the flour (yet?) It's horrible what has been done to our food for profit. 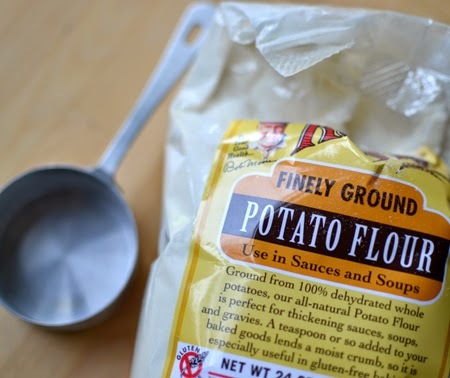 Nevertheless, I want to buy some potato flour and try this recipe. I believe it's crucial to learn to make our own food like our grandmothers did. There is a blog I read called, "These Days in French Life." It's written by an American in the south of France and she makes absolutely everything herself. She learned a lot from her French husband's grandmother before she passed away. 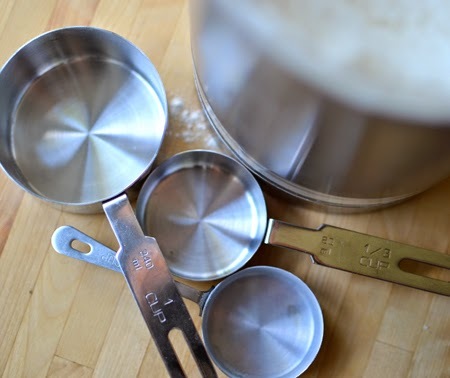 Have you tried making your own mayonnaise? Hubby says it's easy. I like all your recipes. Thanks for your blog! Caterina - first, what a delightful note from you! Thank yo so much for your kind words about my blog! Second, hubby is right - homemade mayonnaise is the best and so very easy. I very rarely buy mayonnaise at the store any longer. Again, if you look at the ingredients, it is awful! Third, I am very fortunate here in Arizona - we have some local growers of non-GMO wheat and, thus, really good and healthy flour. Finally, thanks also for the recommendation - I tried to check out These Days in French Life but it is by invitation only! I will see what I can do. I like to make everything on my own, too. Maybe I don't always do it, but I want to know how. have a great day! A good burger bun is impossible to find. I wanted to kale my own too, for Laith's party last week but since there were going to be quite a few kids, I didn't. I didn't have the stamina to make all of them, and then esp for kids whose parents feed them hot Cheetos and soda. I make rolls and bread for the family. These buns are perfect! I'll have to get potato flour but I'll make them for out next cookout for sure! Thanks David! I hope you like them, Nazneen! And I am not sure I would make them for a birthday party unless it were my own! My negative reaction to Kasier rolls is that they are so dry and flavorless. But maybe I have just had bad Kaiser rolls. I hope to hear back that you made these, Greg, and loved them! What fantastic buns! I'd like two burgers to go please... and, yes, my toes are freezing too! I wish I could deliver them to you, Liz - especially now with your foot in a cast! Great buns! What's a burger without a good bun, I ask you? These look wonderful, and I bet they taste great. The potato flour really makes a difference, doesn't it? Thanks, Adri! You are right - the potato flour makes a huge difference. 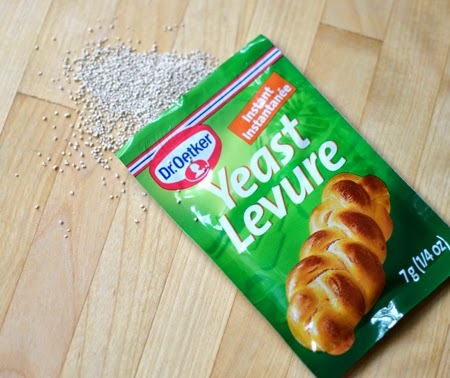 I use it in my pain de mie, too. Karen - I just assumed that the tasteless store-bought buns were an American "specialty!" Sorry to know you have them Down Under, too... Hope you can make a batch soon. Bread making is one of my favorite cooking projects. (Though I have to admit, it's not nearly as satisfying doing it gluten free for my son & husband -- it's never quite right.) I love rising the dough outside on a warm day. It sounds wonderfully cozy to be gathered around the kitchen table, eating delicious food, while it pours outside. I have never thought to rise bread outdoors - what a great idea, Valentina - although I think it gets too warm here sometimes... the bread might actually bake instead of proof! Yes, our grill is under the portico - so the sun never reaches us! Thanks for persevering with Blogger, Karen! It is funny, Laura, now that we live in the desert, winters are no longer cold but for a few nights. Grilling season is 24/7/365! Glad you like the buns and burgers... and maybe the photos will hold you till spring! It is really hot this week in Milan too. I can't wait to get to the States in August for a REAL hamburger... We too, are often disappointed with burger buns. Here they are even worse, if that is possible, because they tend to be even sweeter and they disintegrate into a million pieces the minute you pick the burger up. And, of course, there is very little choice (as in 2 brands at most). So I will definitely be trying these sooner or later. Thanks! Glad you will get to the States fro a good burger this summer, Fiona! I can't imagine a burger a burger in Italy, much less a bun! Have a great weekend! A ha, a really good burger bun can be the make or break. We had brioche buns last weekend but these look delicious and I will try them. Brioche buns would be terrific, too, Anna! Thanks for stopping by! David…absolutely perfect looking buns…I love potato bread. They must take your burgers to another level! 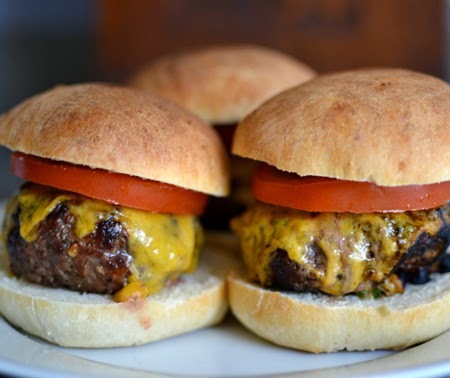 I make bread quite often but have never tried burger rolls…something new to add to my must try list! It's funny, Kathy, no matter how we all bake lots of bread, we often forget the lowly burger buns. Me, too! I won't forget them anymore! Wonderful looking buns. I've not tried making homemade buns before, but now I have to. Thanks, Christy - it is definitely worth it!